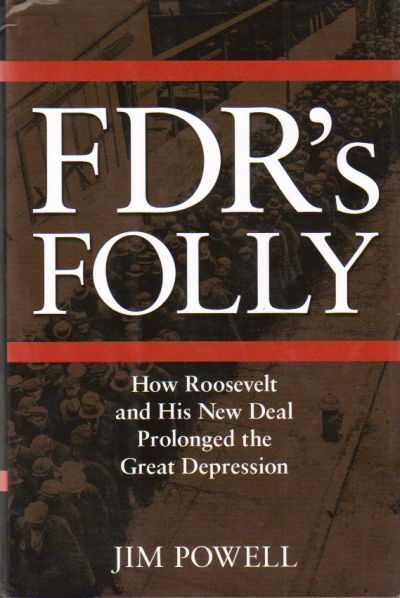 Description: "Admirers of FDR credit his New Deal with restoring the American economy after the disastrous contraction of 1929-33. Truth to tell-as Powell demonstrates without a shadow of a doubt-the New Deal hampered recovery from the contraction, prolonged and added to unemployment, and set the stage for ever more intrusive and costly government. Powell's analysis is thoroughly documented, relying on an impressive variety of popular and academic literature both contemporary and historical." 2003 Hardcover. Clean; unmarked; sound, tight binding. VG dust jacket.